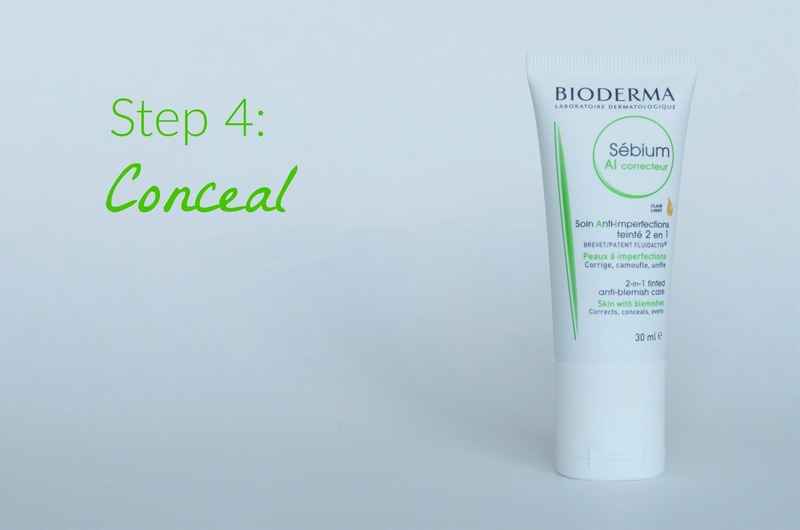 I was first introduced to the Bioderma brand while attending London Drugs' Cosmetics Conference back in November, and their Sébium line, made for oily blemished skin, really piqued my interest. Back in high school, I battled pimples and breakouts like any other teenager, and I can remember trying every product I could that promised to keep them at bay. So that teenager in me just had to see it for myself. It was their Fluidactiv patent that really had me interested. The Fluidactiv complex is found in the products of their Sébium acne-prone line, and acts on one of the main causes of acne: the thickening of sebum in the skin. This patent actually biologically limits the thickening of the sebum and regulates its quality - meaning it prevents the formation of those pesky pimples and blackheads. The visual of a stick of butter (aka thickened sebum) versus liquid oil (aka sebum after the Fluidactiv has done it's job) was pretty powerful - enough to convince me to try it. Keep reading to see what I thought after taking it for a spin! Micellar solutions have been a hot skincare item over the past year, and for good reason! These wonderful little bottles of H2O Purifying Cleansing Micelle Solution are the best makeup remover I've used. Unlike makeup removers of the past, though, the micellar formula cleanses as well as removes makeup (which makes it perfect for lazy nights). The Fluidactiv patent is present in this micellar solution as well, which I loved; it makes sense that if you're going to use an acne skincare line, your makeup remover should help keep those blemishes at bay too! And it's super gentle on the eyes, with no harsh fragrances (it's scented, but very mild). While technically you can just use the micellar solution to cleanse your skin, I always like to use a foaming cleanser daily, and an exfoliator a few times a week. The Boiderma Purifying Cleansing Foaming Gel is perfect for a quick wash morning and night. The smell remind me of the Bioré Blemish Ice Cleanser that I remember from high school - a nice light, fresh scent. It's easy to get a good foam, and my face feels soft not tight after washing it off. Here's a random fact too: the cleanser can also be used a shaving foam! 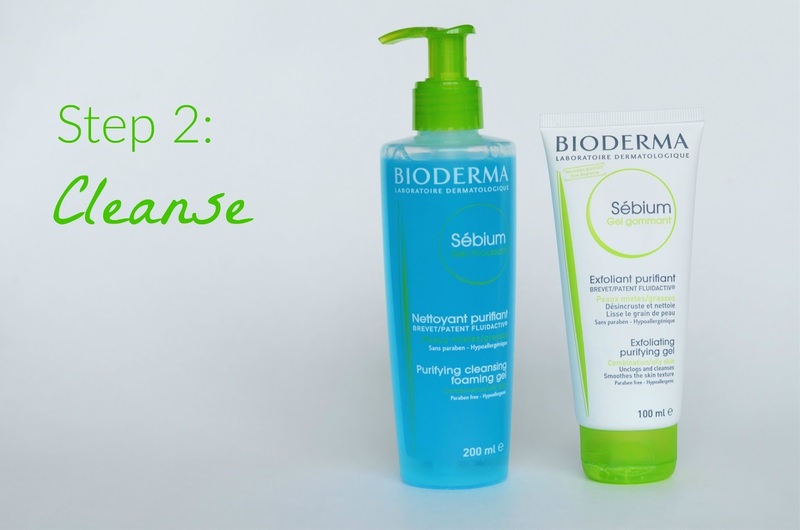 The Bioderma Exfoliating Gel is absolutely my new favourite exfoliator! My skin definitely needs a good exfoliating a few times a week, so I've been using this on the regular. The micro beads felt far smaller than what I'm used to, and I really liked that. I felt like they were really giving me a deep clean, while also not being too harsh. Using circular motions, all the dead skin cells were sloughed off and left my face feeling fresh (no more dry, dead skin!). The formula is strengthened with glycolic and salicylic acids, which makes sense why I like it so much. I'm a big fan of glycolic acid for exfoliating the face. This is going into my skincare routine on regular rotation! 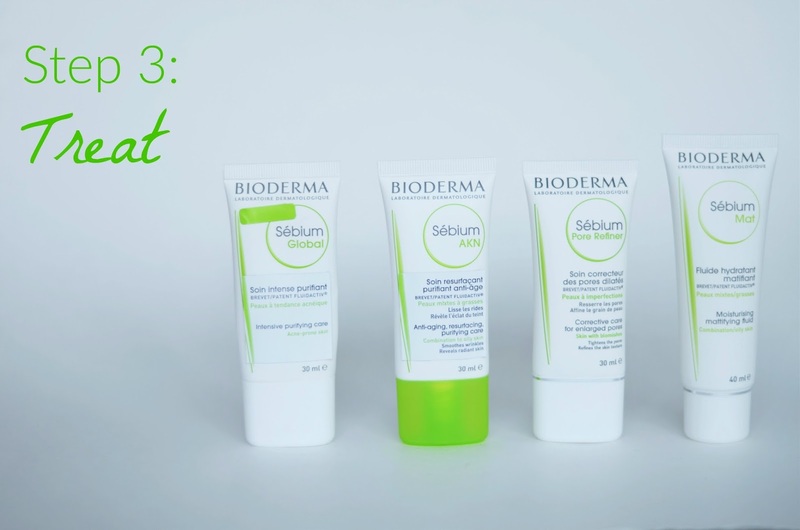 Once your skin is cleansed, Bioderma's Sébium line has a large selection of creams to choose from to treat blemishes, depending on what you need most. The Sébium Global Intensive Purifying Care is the cream I found was the best fit for my skin. I tend to get breakouts where I touch my face too much (oops! ), so all I need is a formula that will keep the sebum at bay so those pimples don't form. That, and I want to combat the blackheads on my nose. This formula is nice and light, not sticky, and actually turns out to be a great base for my makeup too! The Bakuchiol and Fluidactiv patents are able to retrain the skin to regulate sebum just like healthy skin does, preventing pimples and blackheads. AHA esters, salicylic acid and citric acid also help to clear up the skin. If you're worried about irritation, I didn't have any issues at all. The zinc gluconate, combined with enoxolone soothes and reduces redness. If blemishes and wrinkles are your concern, then the Sébium AKN Anti-aging Resurfacing Purifying Care is what you're looking for. I don't really have enough wrinkles yet to test out that part of the formula, but it's very similar to the Intensive Purifying Care in terms of texture and effectiveness on blemishes. I really liked using the Sébium Pore Refiner on my nose after using my Bioré Pore Strips. I love that tingly feeling when you know it's starting to do its magic! It's hard to tell just how productive it was, as I didn't see a physical difference in the pores, but I must admit, it sure felt like the pores were tightening! In this formula, it's the Agaric acid, a powerful astringent, that is what's used to tighten the pores and refine the skin's texture. While I do have problems with blemishes and blackheads, my skin is actually more dry than oily. But, if you find the need to mattify your oily skin, the Sébium Mat Moisturizing Mattifying Fluid is a good one to add to your routine. I gave it a try under my foundation, and it made an excellent base for my makeup, as well as kept any shine from sneaking in later in the day. 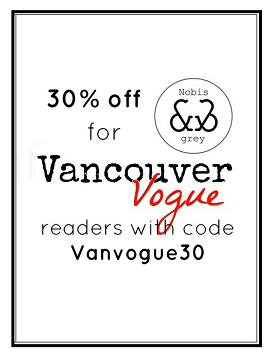 This is a really cool and unique product! The Sébium AI Corrector is a 2-in-1 tinted dermatological treatment that biologically conceals and eliminates blemishes, which I think is the perfect item to keep in your purse for touch-ups on the go. On the bottom, pop off the cap and there's a small mirror and green corrector for neutralizing the redness from any breakouts. How handy! And unscrew the cap completely, and underneath is a tinted moisturizer! The formula still includes the Fluidactiv patent, so it will treat your blemishes while concealing them - a big step up from the usual pore-clogging concealers! On the left is the green corrector, on its own. On the right, the concealer without using the corrector. 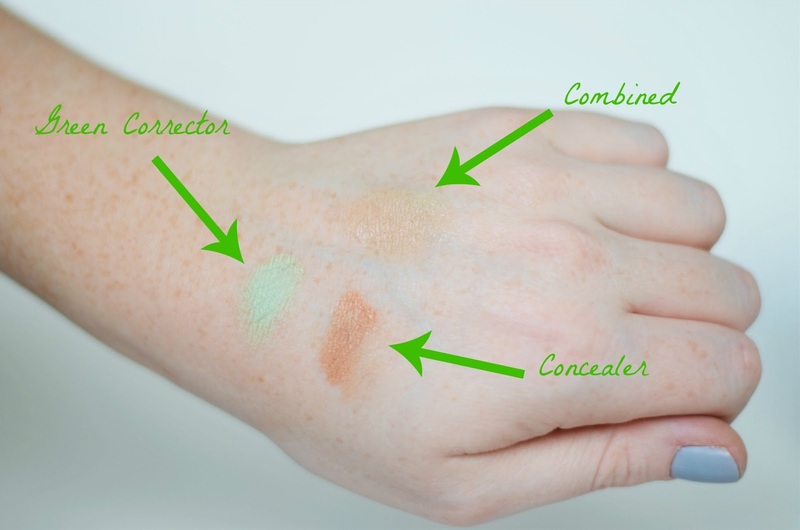 At first glance, I figured there was absolutely no way that the concealer would match my skintone, and was a bit perplexed on how this shade could be universal, BUT once I combined the concealer over the green corrector, the colour lightened up really nicely! Yes, I'm super pale, so it's still a bit dark, but for the average person, I think it would be a pretty good fit. I decided to really test out whether the Sébium line was able to make a difference in my acne-prone skin by trying one of my Bioré Deep Cleansing Charcoal Pore Strips on my nose. 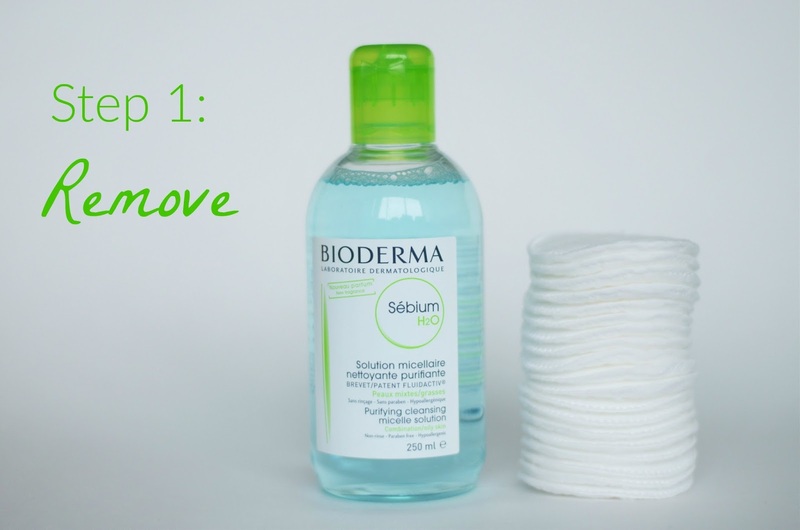 I've used them plenty of times before, and know they collect quite a bit (ew, I know), so I was curious to see if using Bioderma had changed anything. I've never been so gleeful to see nothing! The pore strip pulled off almost nothing! While yes, some blackheads were still there, it was much less than there was before. And my usual breakouts were farer and fewer between too!